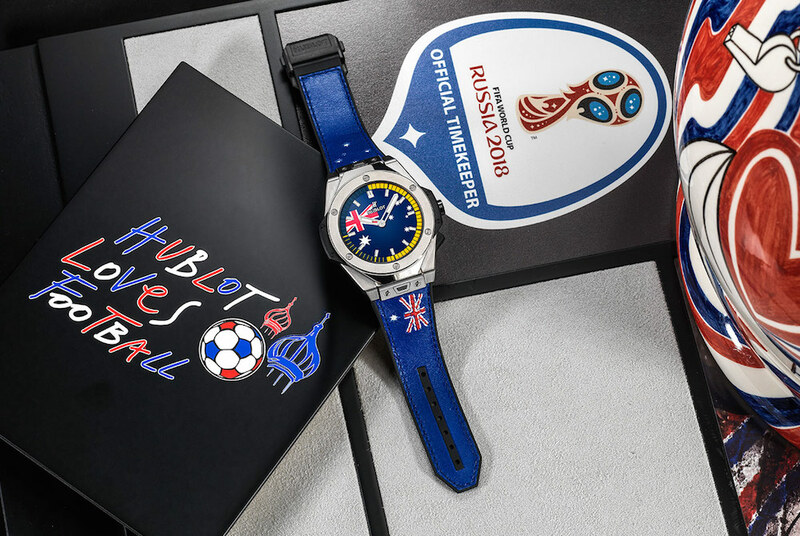 The official timekeeper of the Russia World Cup 2018, Hublot, has unveiled the Big Bang Referee 2018 FIFA World Cup Russia smartwatch. The Swiss watchmaker said, “it was a specific need expressed by FIFA," and will be “very first competition in which the referees are supported by video assistance”. The wearable is the brand’s first smartwatch and has 2,018 units available to the public. The design includes 32 dials, each made to represent participating countries' flags. A feature of the watch will include vibrations and the word ‘GOAL’ whenever a team scores. During the matches, wearers will be able to see match statistics, card numbers, goal scorers’ names, match time and substitutions. As well as that, the smartwatch will send notifications 15-minutes before a match starts, and for any yellow and red cards. The watch, built on Android’s Wear OS, was created with input from both Google and Intel, which also helped design the Tag Heuer Connected Watch, a Hublot sister brand.